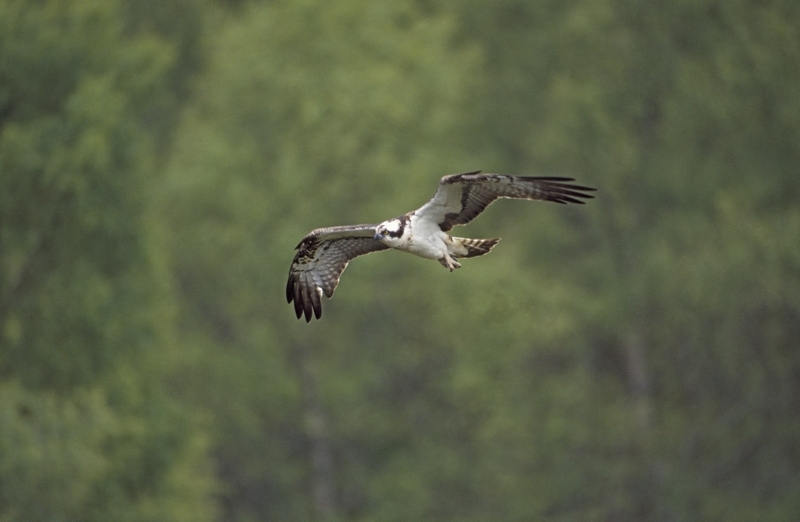 We are extremely sad to report an unfortunate accident that occurred recently when two members of staff were ringing an osprey chick in the Huntly area of Aberdeenshire. A tragic error at the top of the tree led to a chick falling to the ground from the nest, resulting in the death of the bird. In more than 50 years of ringing osprey chicks in Scotland, this is only the second incident we are aware of where an osprey chick has died as part of the ringing procedure. The three-person team that were involved in this case are all highly experienced, licensed under Schedule 1 and were following the strict BTO Osprey ringing protocol to which all practitioners adhere. This heart-breaking accident has left everyone involved distraught and upset by the loss of this chick. Ringing birds is a hugely important technique used all over the world for collecting information, including about birds’ movements, ecology, habitat requirements and migratory behaviour. Many ospreys have been marked in this way since they returned to Scotland as a breeding bird in the 1950s, and this activity has made a huge contribution to understanding their conservation requirements both here and on their wintering grounds in West Africa. Ringing teams also regularly help birds by strengthening vulnerable nests, which may otherwise be blown out by high winds; removing fishing wire from chicks; and taking other dangerous plastic out of nests. All of these threats have previously resulted in osprey chicks dying. However, this in no way detracts from the impacts of this awful event and the distress felt by all involved. A full report of the incident will be sent sent to the BTO Ringing Committee, and we will be taking on board any recommendations that may be contained in their assessment to ensure that the chances of such an incident happening again are minimised.